Rising Voices Note: We are pleased to be collaborating as a partner with this upcoming event in early 2013, which is being organized by the Living Tongues Institute. For more information, please visit the original website in Spanish at the Living Tongues blog. Collaborators: Enduring Voices Project (Living Tongues Institute + National Geographic Society), UTEM University, Fundación Imagen of Chile, and Rising Voices. Context: When ideas are extinguished, we all end up poorer. Half of the planet's 7000 languages are now in danger of extinction: a drastic change in humanity's intellectual history. The basis of human knowledge is enduring, and during 99% of the our history, it was transmitted by word of mouth. Yet, it is fragile. It is largely not written, and vulnerable to be forgotten. Digital technologies can help document and preserve this knowledge found in these languages. Objectives: To train 12 indigenous participants with the goal that they learn how to create a registry of their endangered languages by creating new linguistic materials, such as talking dictionaries through the use of computers, cameras, audio recorders and other technologies. (The workshop will be conducted in Spanish). 9:30AM – 11:30AM. Opening session with a short introduction from each facilitator and each participant. 1PM – 4PM. Ethno-linguistic methods I: How to record, edit, and produce an audio recording for use in radio programs and for use in a talking dictionary. 2 PM – 5 PM. The creation of a talking dictionary for each participant. 11AM – 1PM. 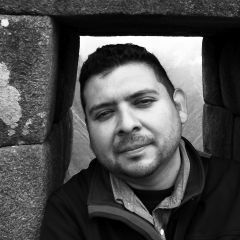 The importance of Citizen Media and language revitalization in Latin America: presented by Eddie Avila of Rising Voices. 2PM – 5PM. Digital Media II: Improving the presence of indigenous languages online: uploading videos and sharing information through social networking sites. 1PM – 3PM: Closing session and celebration with members of Chilean indigenous communities. Emiliano Cruz Santiago: speaker of zapoteco miahuateco from San Bartolomé Loxicha, México. Ignacio Tomicha Chuve: speaker of chiquitano (besiro), Bolivia. Dr. Gregory D. S. Anderson (Living Tongues Institute), Anna Luisa Daigneault (Living Tongues Institute), Eddie Avila (Rising Voices) and Luis Godoy Saavedra (Centro de Desarollo Social, UTEM).